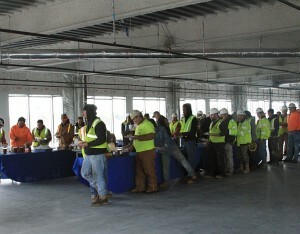 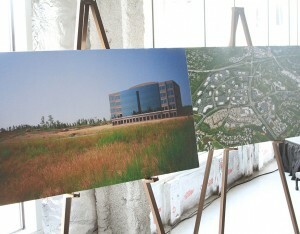 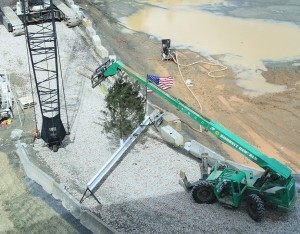 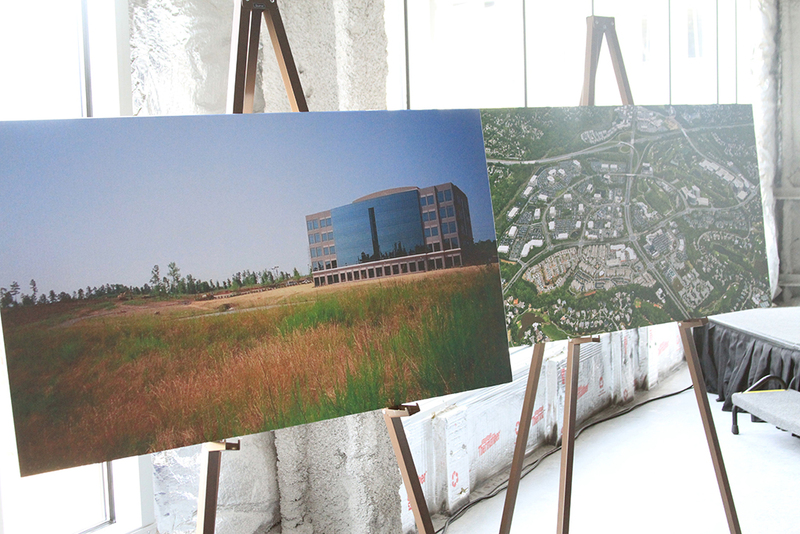 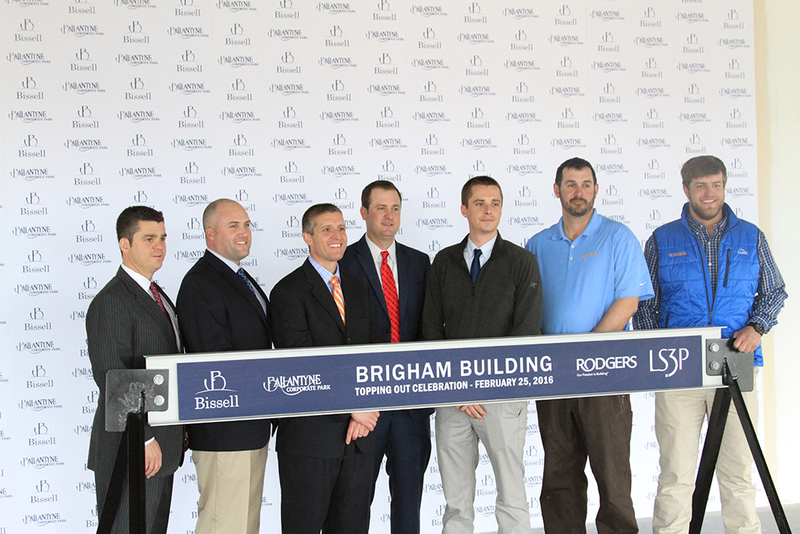 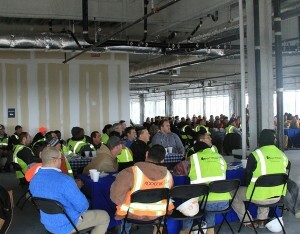 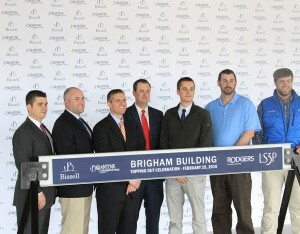 Ballantyne Corporate Park celebrates milestone of newest building - Rodgers Builders, Inc. 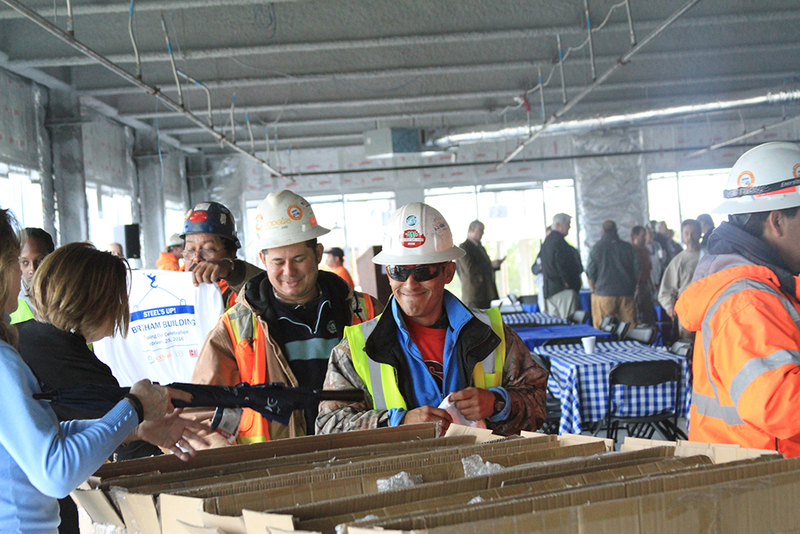 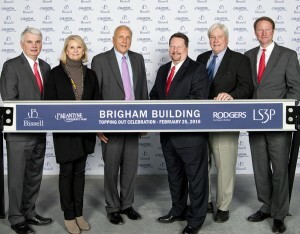 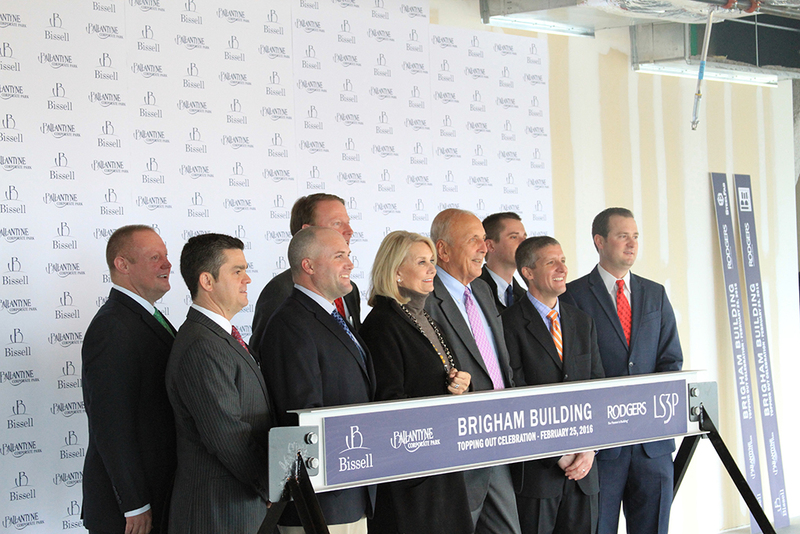 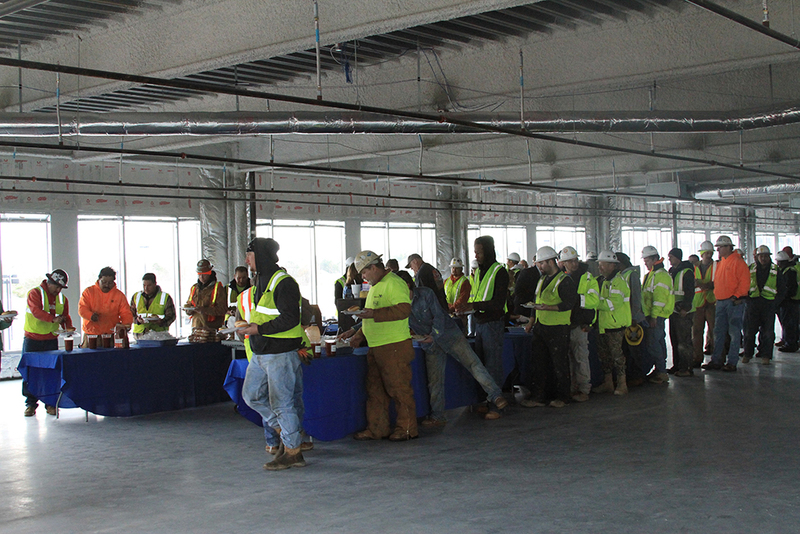 The Brigham building, Ballantyne Corporate Park’s newest speculative office building, received finishing touches on the steel framework, marking a milestone for construction which was celebrated by Bissell, Rodgers, craftworkers and guests during a topping out ceremony. 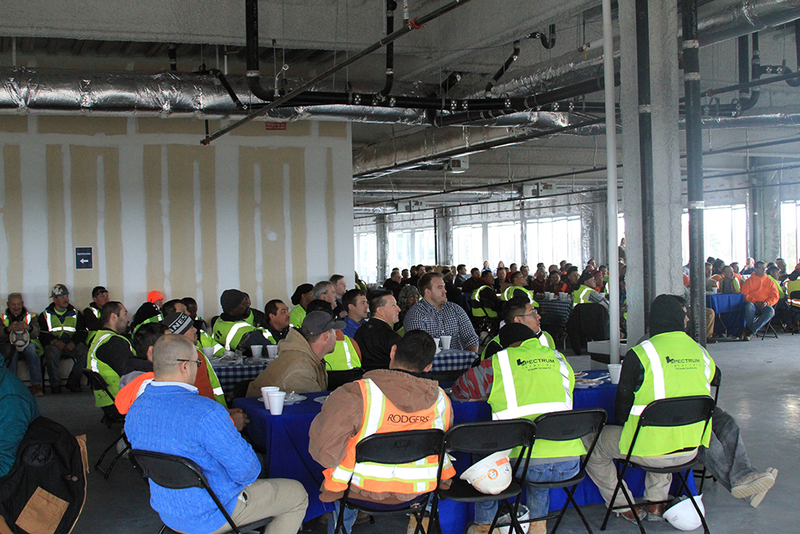 Smoky Bissell, Chairman of Bissell, spoke at the ceremony and thanked workers for their hard work and commitment to safety throughout the project up to this point. 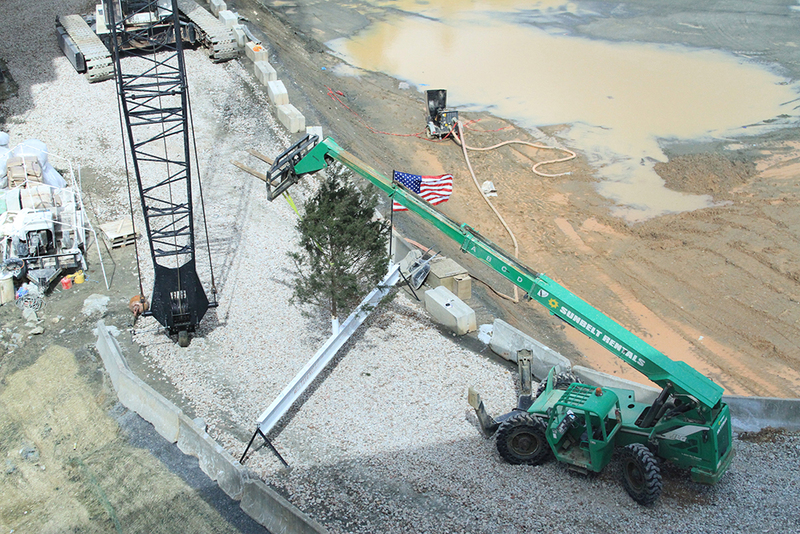 For centuries, builders have celebrated the point during the construction process where the building reaches its highest point. 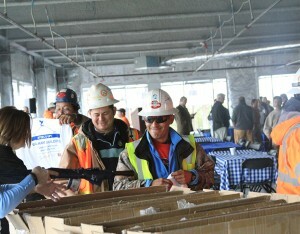 This moment is marked with a celebration and recognizes a safe project for all involved. 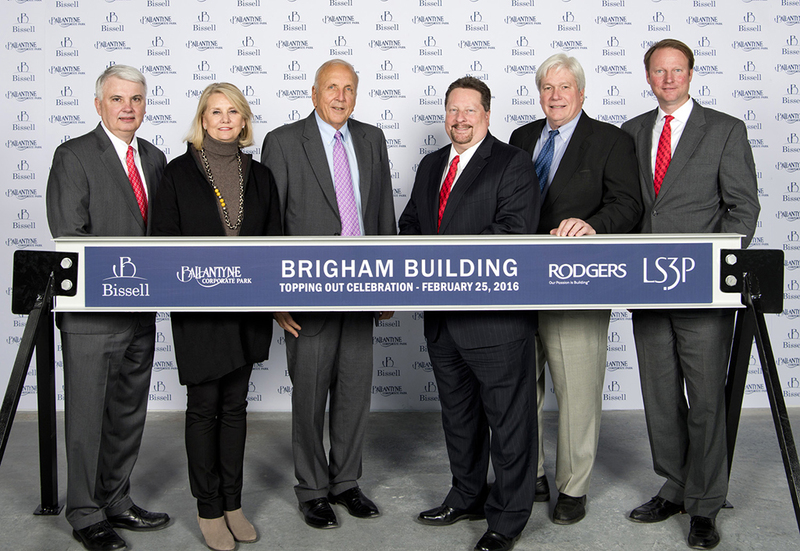 “To date, workers have moved 49,795 cubic yards of dirt, placed 7,900 cubic yards of concrete and erected 1,350 tons of steel, all while safely completing 30,120 man hours with no lost time,” said Pat Rodgers, president and CEO of Rodgers. 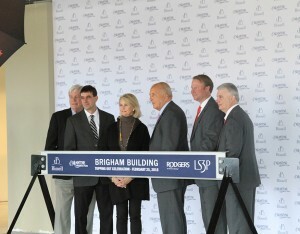 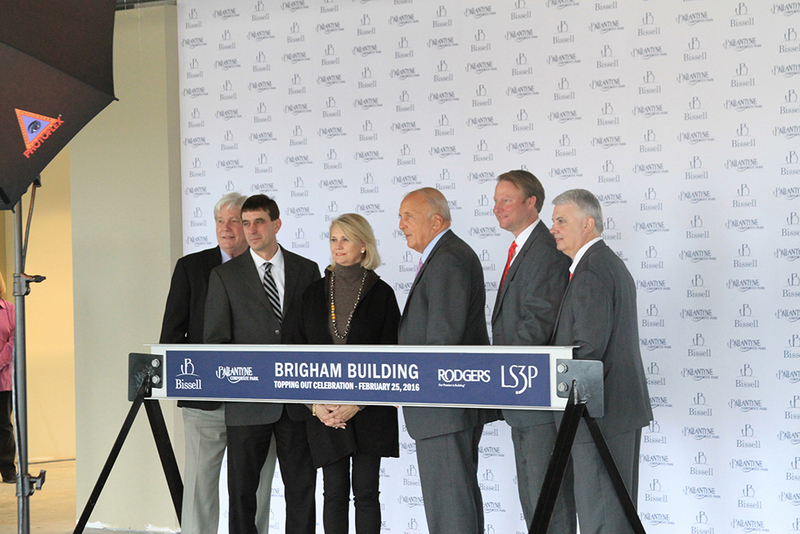 The 10-story, 287,507-square-foot building is named in memory of Dr. Craig Brigham, who was a prominent orthopedic surgeon at Charlotte’s OrthoCarolina Spine Center. 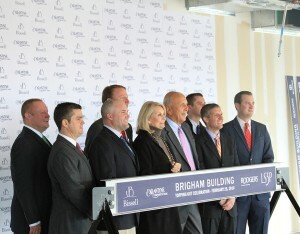 The building is expected to be complete by late 2016.